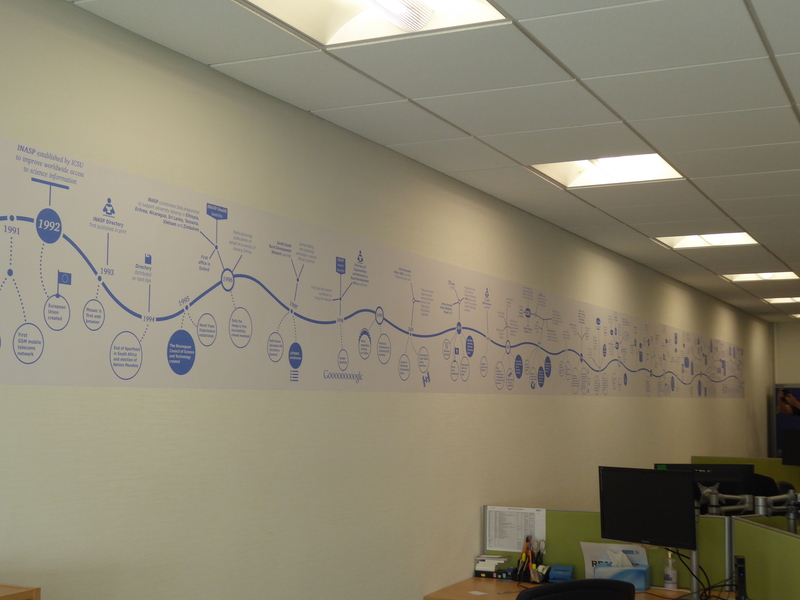 This year the walls of INASP’s office gained a new decoration: a 12-metre-long timeline to celebrate INASP’s 25th anniversary and set it in the context of world events and research developments. INASP started life with the vision to enable access to published academic papers to researchers in the developing world. Today, electronic access to journals, books and other research materials across a range of devices is a normal part of day-to-day research. However, INASP’s foundation in 1992 came only a year after the start of the World Wide Web and the installation of the first GSM (2G) mobile phone network. 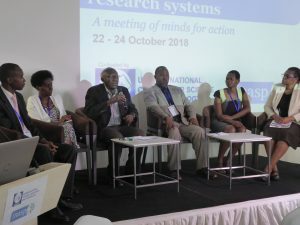 The foresight that led the International Council for Science (ICSU) and others to come together and establish a body to help bring equity to the global scholarly information imbalance has continued throughout INASP’s history. This work goes beyond brokering information access on behalf of Southern libraries. 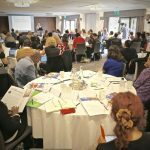 A key focus for INASP is – and has been – strengthening Southern library consortia by developing in-country capacity to manage their own collections and discussions with publishers. 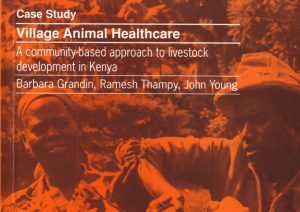 This part of our work is summarized in a short video that we made last year when our collaboration with publishers and library consortia was shortlisted for an international development award. As our remit expanded, with access as part of the wider vision of helping research from the South make a greater contribution to solving local and global development challenges, we outgrew our old name of International Network for the Availability of Scientific Publications. Today we are simply called INASP. 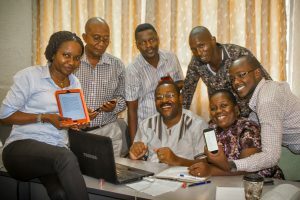 One area of expansion was the Journals Online (JOL) project, supporting the visibility and credibility of journals published in the developing world. Thanks to this project, Southern journals on the JOL platforms have been relatively early adopters of many publishing industry international initiatives and practices. These include assignment of DOIs through CrossRef; anti-plagiarism checks through iThenticate; and Kudos, which helps researchers to claim credit for all mentions of their work. Initiatives such as these help Southern journals to follow the same accepted good practices as the journals of major internati onal publishing companies. INASP’s commitment to sustainability and long-term capacity development has been evidenced throughout our history. In 2000, following a two-year pilot, the African Journals Online (AJOL) platform was launched as an INASP project. However, since 2005, the platform has been run successfully and independently by a team in South Africa and now hosts over 500 journals. For many years, AJOL has been a well-known brand in its own right, a strong champion of local publishing in Africa, and a good partner to INASP. As we continue to handover JOL platforms to local management, we have an ongoing commitment to supporting the quality of Southern journals through training, awareness building and development of guidance in publishing best practice. Supporting developing-world researchers to share and communicate their work is another important strand of work that has developed at INASP. The AuthorAID project, which celebrates its 10th anniversary this year, caught the early wave of massive open online courses (MOOCs). 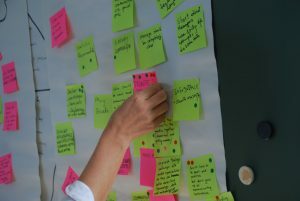 The first smaller-scale AuthorAID online research-writing course took place in 2011. Subsequent MOOCs have each attracted thousands of participants, including some academics from fragile states or in refugee situations. The AuthorAID MOOCs are currently finalists for a prestigious publishing industry innovation award. Beyond the research sector, in the world today we see a rise in the need for critical thinking skills and the use of research and knowledge to inform policies. It has been exciting over the past four years to work with partners in four African countries to develop and conduct training courses in evidence-informed policy making (EIPM), following on from work begun in 2010 with POST UK. It has also been exciting to build up relationships with partners in other parts of Africa, the Philippines and Latin America through the VakaYiko grants programme and to see some of those relationships develop into future work plans. The EIPM Toolkit was launched in 2016 and consolidates the work from training activities with individual policymakers in the three-and-a-half-year VakaYiko programme. In addition, we are addressing organizational change in governments and public bodies in how they use evidence in their policy-making processes. In partnership with Politics & Ideas, we developed the Context Matters framework, which is being used as part of our future plans to help strengthen evidence use in Southern policy making. 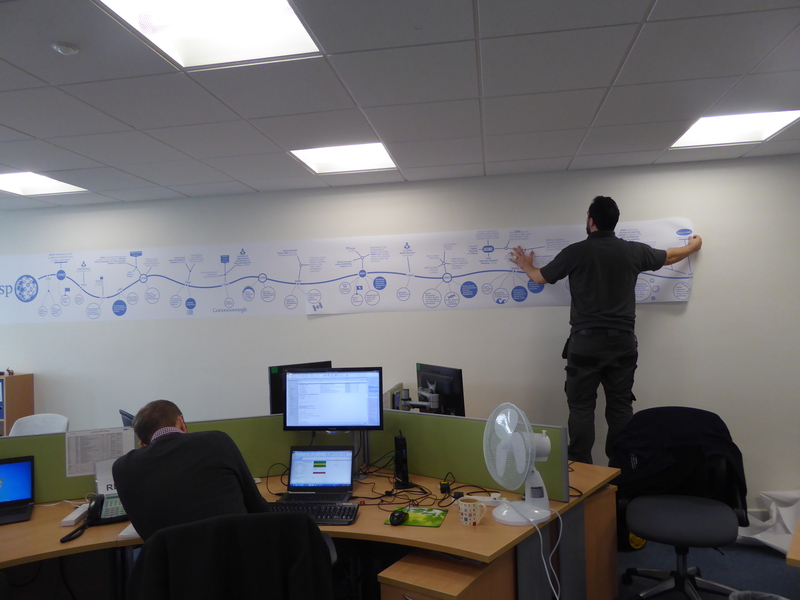 The timeline pasted on our office wall is a snapshot of our first 25 years. However, the work itself is definitely ongoing, with plenty more plans ahead, guided by the strategy that INASP launched last year. Over the course of this 25th anniversary blog series we will reflect more on some highlights, trends and the road ahead. In my next blog post, I will look at some of the highlights from our timeline in the context of wider events in global politics, research and publishing.